All business who use the social media platform strive hard to find ways to gain visibility, attract more traffic, to engage their users and all above all to promote brand awareness. 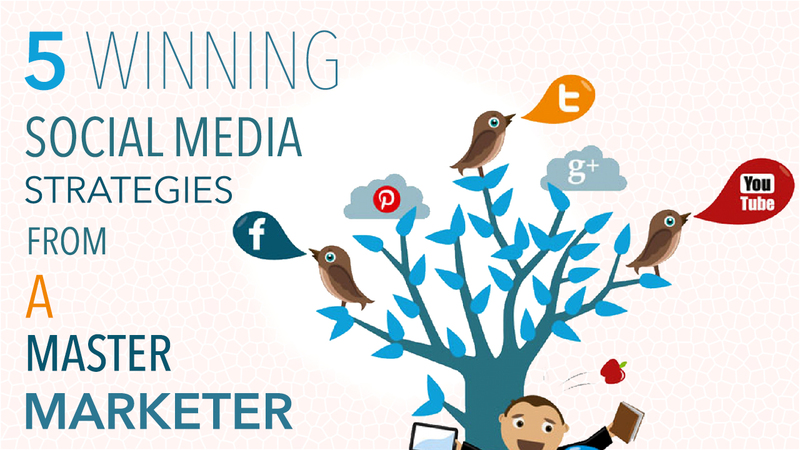 It’s not simple to get the social media strategies to fall in place. In this article let’s find ways to improve social media strategies that promote your brand on social media platforms. 1. Stop being a robot. Apps have made our life's easier, also there's a approach to get the things done on your social media marketing from analytics data to autoposting and direct messaging. These elements are critical components of digital marketing business, it’s also important to understand that relying on robots is not the origin of the social media platform. One thing Pirtle is direct in announcing is his approach to being personal with people on social media. Sure, your robotic social media tool helps you to stay genuine, but doesn’t let you communicate with people and respond in timely manner to the likes and comments on a real time scenario. In precise these small errands have a bad impact and create negative messages to your audience. Users look for engagement and often like to communicate with your brand truly. While the brand image must not be allowed to be controlled by robots as they don't sketch the true identity. It doesn't mean that you must not use these automated sources as you are looking for ways to be a better marketer. Being a wise marketer you know when to put a curb and add more of your own style. You always have to work inline as per your audience likes, such as providing relevant content, brand pages etc which your target audience look for. For instance some find it very impulsive if you put some funny images or buzzwords to keep the target audience engaged on long term basis. The more genuine your content, the better it is, hence users get attracted to realistic or genuine content on your social media which should be well organized and clear. The distribution rule is 80/20. Which implies 80 % which is the maximum time, the content you're providing is to engage, trigger or bring awareness to the target audience. This 80% has got nothing to do with the brand image, It’s all about knowing your target audience and understanding what interests them the most. If you are unable to figure out what interests your audience, consider Facebook for instance. have a look at Facebook users observation, to draw ideas. Check in for any particular interest thats intresting and it connects you to other brand pages, which are drawing more audience by providing awesome content. Take time to read their suggestions and implement in the similar way on your page. 3. Learn to follow in order to lead. It’s not strange , while many people like to have huge followers, without having to take the path of several accounts or users. To have that huge gathering on social media with the genuine results, you must be a smart leader and an ardent follower of people. You must have a clear idea of how to follow people to lead them, so the best way is to follow people who are in line to your business. Also don’t deny the concept of engaging the users, which helps the business in the long run as users get instantly connected to the information which serves their purpose and never forget it. Once you master the art of following the targeted audience who are inline with your brand, and you uniformly provide the suggestions and ideas, in no longer time you can see yourself outstanding these people. Don’t be hesitant to take a step ahead and make sure you follow. 4. Measure success from engagement. There are several methods to keep a track of your success on social media. The statistical data collected from various things about your social media accounts is the best method to have a great business and keep it going. However, the measure of success depends on the user's social which the brand was gaining on a daily basis on social media. How many users communicate and interact on a regular basis?get to know who are the dominant players & who are there to see when you share. Gain insights, read the comments, likes and promptly respond to the likes, comments to communicate with those people. One best method to keep a track of the success within each campaign is to set targets within the brand. For instance set up achievable goals such as 50 signups on Facebook or Twitter. make sure to get 25 comments and good amount of 15 shares. These are achievable and personal engagement targets you should make to promote your brand. KISSmetrics shares a useful article on how to achieve and keep a track of each step of your engagement,which includes components such as brand aware, how to engage the users, how to boost more traffic towards your brand's success. It’s critical to know and set the targets which keep a track of engagement success on social media platform. However not every social media platforms are similar, while the people are the same, the attitude of the people differs from one platform to another. Its ideal to gain some knowledge of the attitude or behaviors of each individual on every social platform. It helps to gain realistic content for future use. Building a strong relationship establishes a sturdy foundation, and there's no better social marketing strategy which works better than this. It might sound it’s hard to achieve this, while many people are ,There is no social marketing tip any stronger than this -- build the relationship. This is pretty much self explanatory, and while it seems pretty hard to do, most people are responsive on social media towards your brand. Building a strong relationship establishes a foundation for building brand identity for people whom you acquainted a relationship with. Invest time to frame the relation and a sturdy basis for gaining the trust. . In return, it establishes a connection with someone who is unaware of you and your brand with whom you just built the relation. The importance is obvious. The capacity to influence the relationships is a robust marketing strategy in your social association which you must make the best use of it on a daily basis. There are several type of social media strategies which can be tried to know which best fits, but there are 5 most critical elements to keep in mind. You established a brand image and you have to secure it, while there are target audience who would like to learn the most they can. Its wise to invest your efforts, time and resources into your target audience to reap the best results using these techniques.